At Foodlink, the base of our operations lies in consistent delivery of safe and secure food products to consumers through our trading partners. 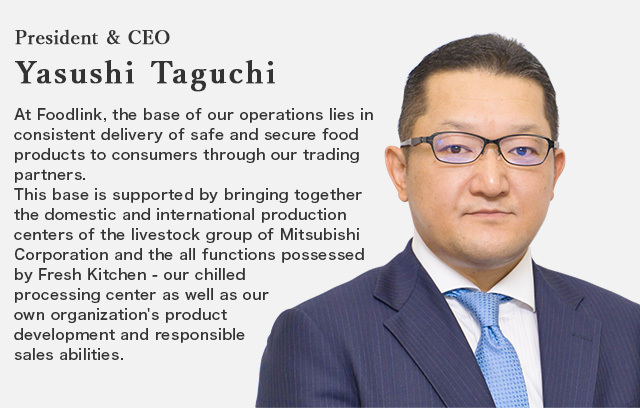 This base is supported by bringing together the domestic and international production centers of the livestock group of Mitsubishi Corporation and the all functions possessed by Fresh Kitchen – our chilled processing center – as well as our own organization's product development and responsible sales abilities. Copyright © Foodlink Corporation All Rights Reserved.